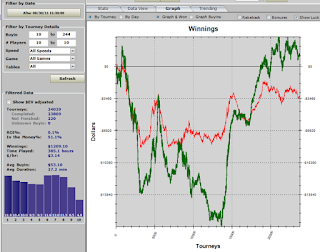 James Atkin's Poker Blog pokerstars prop-bet SNGs 24,000 SNGs in one month?!! 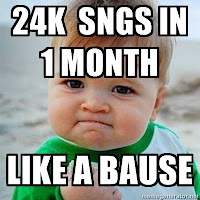 To date, I myself have played 23,000 SNGs in the whole of 2011, so playing this amount of SNGs in just one month sounds completely insane to me. When I first heard about the prop-bet I assumed he must have been playing Hyper-Turbo SNGs, but it was actually all done playing Fifty50 SNGs. I was surprised that these games were popular enough to allow this kind of volume, especially at high stakes, but with an average buy-in of $51 over the course of the bet, apparently they are! He ended up winning the prop bet with just a couple of hours to spare, playing 24,035 SNGs in the month of October, profiting $2,898. 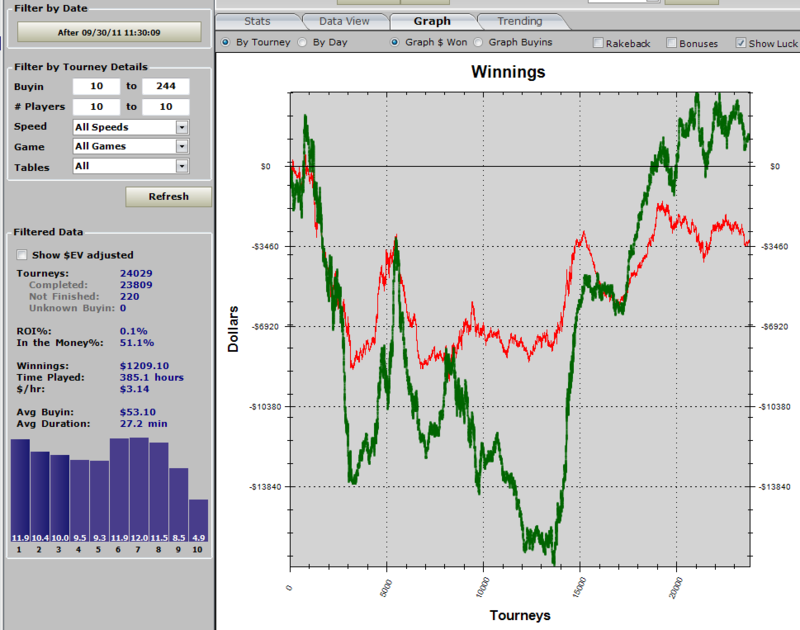 Over the course of the month he played around 750,000 hands! Actually though his winnings were much more sick than that. He had wagered approximately $5k on completing the bet at 3 to 1, so won $15k in bets. 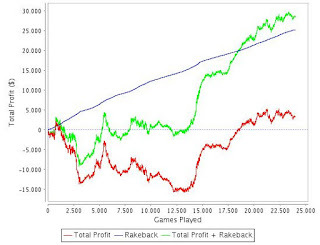 Factor in roughly $25k in accrued rakeback, and we're talking over $40,000 in winnings. Not bad for a months work (albeit a ridiculously hard months work)! 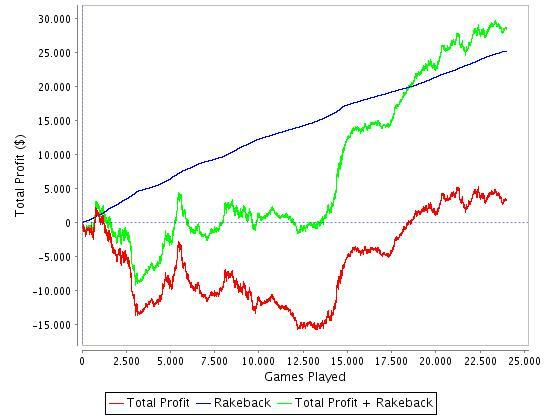 The Poker Gods were partially responsible for the prop-bet victory, based on that red line! After earning 300,000 VPPs in one month, and holding 667,000 VPPs for 2011, phasE89's next aim is to make Supernova Elite by the end of the year, which requires him to earn 1 million VPPs for the year (or raking just over $180,000). Congrats to phasE89 on a sick October, and good luck in your SNE Quest! 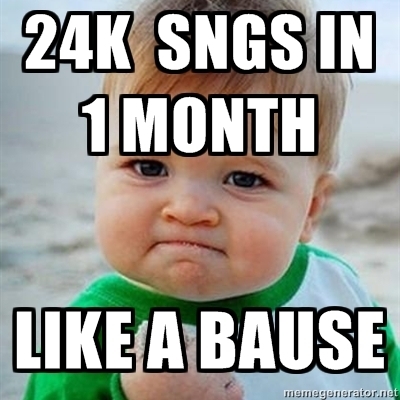 2 Comments to "24,000 SNGs in one month?!!" Yeah this guy is sick, unbelievable. Question: are you gonna go for SNE next year? Can u please give me some advice in playin 180-man turbo tables? I do get to the last 2 tables a lot but im not satisfied until i reach at least top 3. What the secret of winning them? Im talking about both 3 dollar buy in, to 15! What is the best thing to do when ur at the last 18 players? And have a medium stack like any most of the other players remaining? And what is the best thing to do if youre the chipleader?